I need a new camera. Clearly. This is the prettiest PURPLE! But all my camera seems to pick up these days is blue . I’m not even a real “blue” fan…. I mean, I checked my polish stash and I have PLENTY of blues there…. 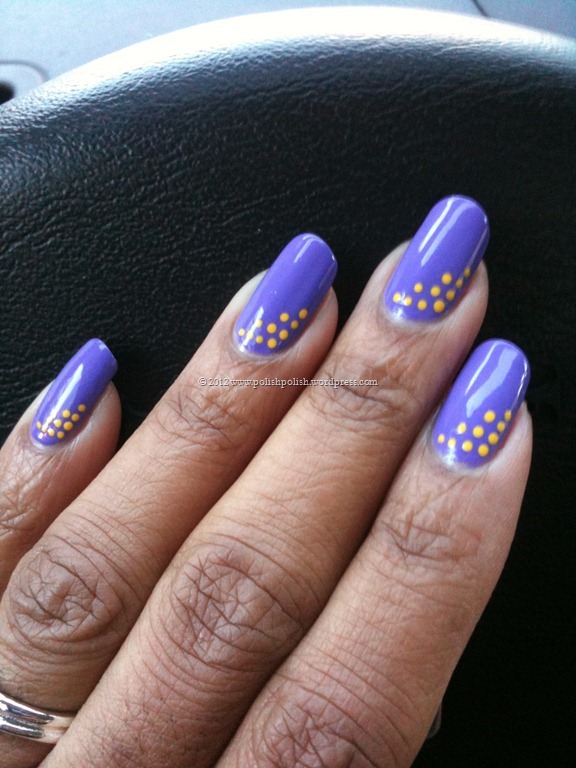 but when I’m polishing PURPLE, I want PURPLE to be seen… SMH. I have to get a new camera SOON! I thought my Nikon was good too. oh well. On to the polish…. Smooth pretty creamy luscious purple. 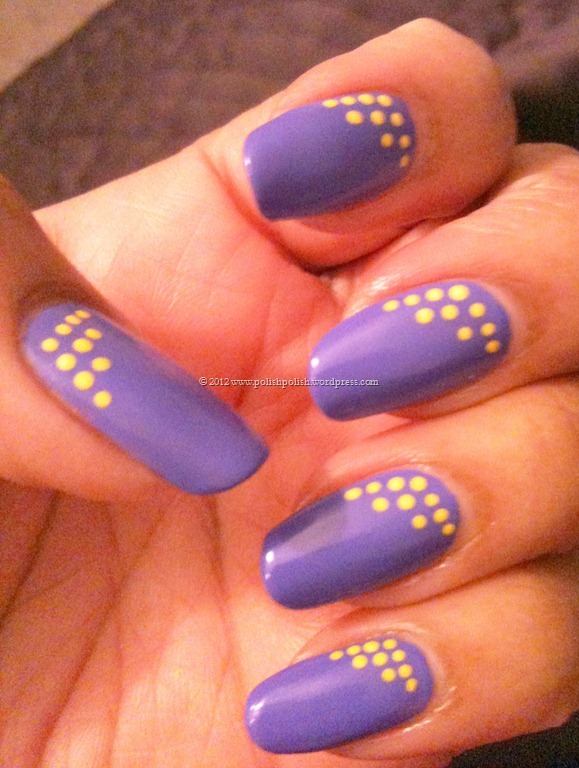 Set off by little yellow dots….my favorite. 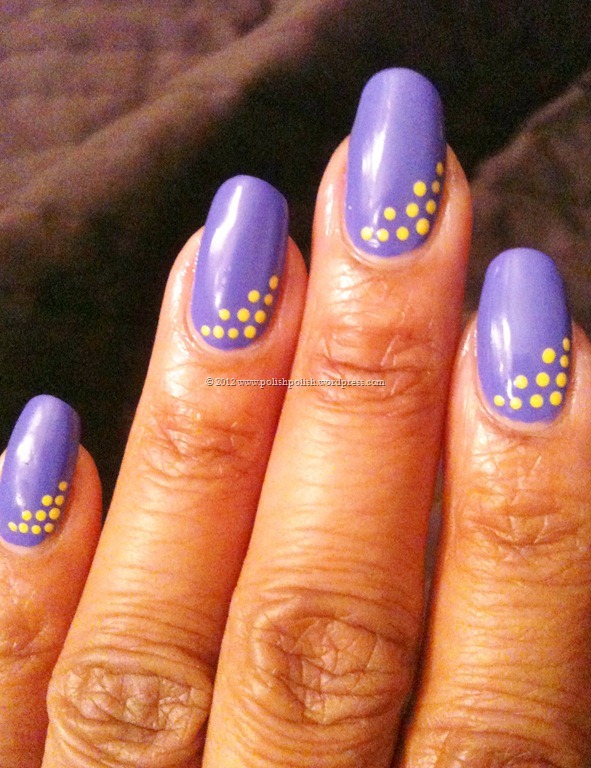 Soon I will have to do a “polka dot month” of manicures. I’m certain of it. 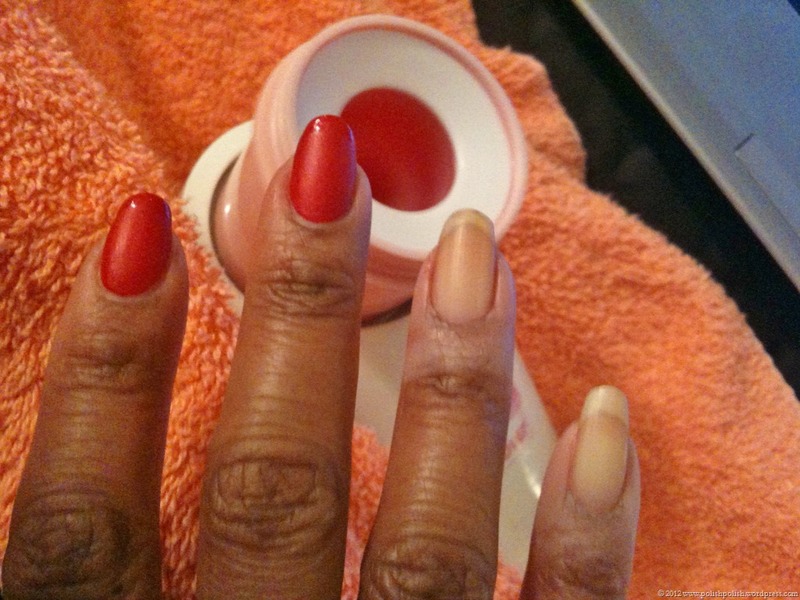 Just to brag some more on my Automatic Nail Polish Remover Machine….. it removes bright red like a miracle! 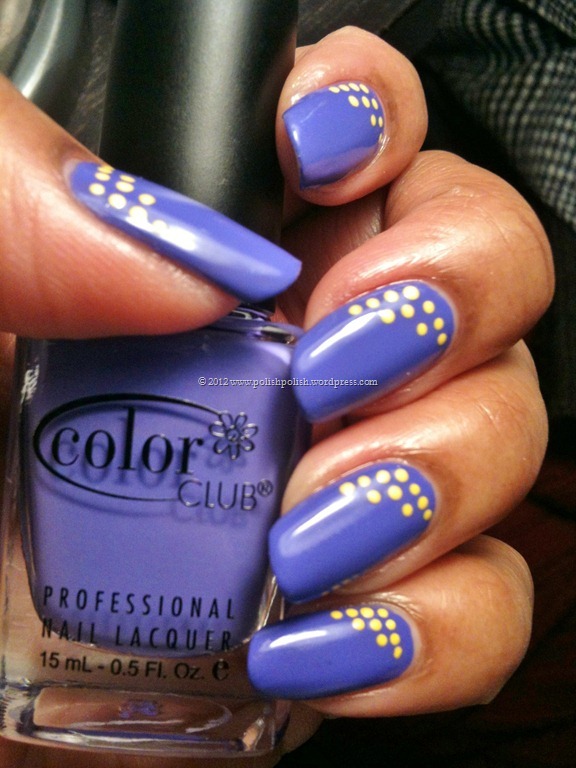 This entry was posted in Color Club, Nail Art and tagged acrylic paint, dots, pucci-licious, purple. This is so neat! I’m going to have to pick one of these up. BTW I love your blog.